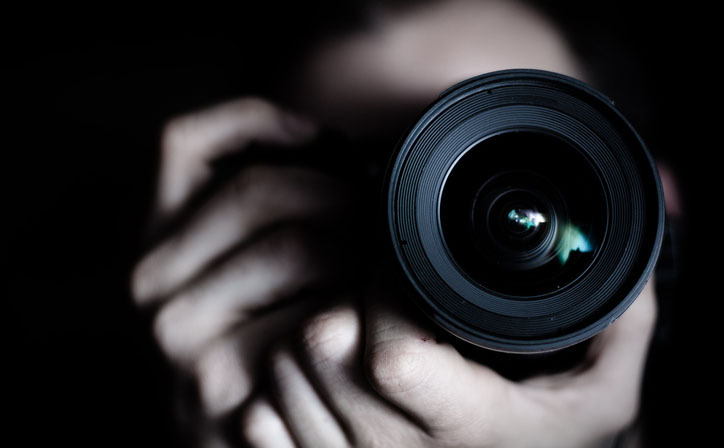 One thing all hoteliers share in common, whether they own a B&B, hotel, campsite or even a hostel is that they will all need photographs and/or videos to showcase their business. These photographs are incredibly important as they are usually the hotels first point of contact and as we all know, initial appearances stick. Engaging your client through effective use of images can provoke an emotional connection to your property which can be the needed trigger in getting them to commit and make a booking. We spoke to Real Estate Photographer and Interior Photographer Anna Larson to see what insight she could give to hoteliers who want to look their best in front of the camera. She shared her views with us on the importance of getting hotel photography exactly right and provided some helpful tips and tricks for anyone who’s thinking of doing some photography DIY. Whether you’re thinking of getting a hotel makeover, updating images for 2019, or contemplating a complete overhaul, this interview happened just for you! Can you explain how hotel photography is different from other kinds of photography? Anna: Hotel photography is a totally different beast to many others. You are working with inanimate objects instead of living creatures. You have to rearrange objects in order to make them look good which is a skill that’s only acquired through time and experience. Hotel photography is about space and composition and showing off a room to it’s very best advantage. What should a hotel be looking for when choosing a photographer? Anna: They should ideally be looking for a photographer with an obvious flare for design. You need someone who is great with the technical aspects of setting up and producing great photos, but just as importantly, someone with real artistic capability. A true designer will prepare your property and stage each area with the right props to showcase every room perfectly. So where should they be looking for their inspiration? Anna: The obvious one would be Instagram, it’s the perfect hunting ground for photo treasures. Look for great images that appeal to you and then approach the photographer to take a more detailed look at their work in as many different environments as possible. Check out other hotel websites too, you can often find reference to the photographers work as it’s copyrighted. Google websites and check out online images – there’s a wealth of information at our fingertips now so it’s really not difficult to find true talent. Of course none of these things substitute word of mouth so ask friends and colleagues for referrals but don’t trust a verbal referral alone; be sure to always look at a photographers previous work. So would you recommend a hotel take their own photos and what tips would you give them? Anna: My best tip is to recommend that a hotel never takes their own photos. Even with the right equipment there are too many things that can go wrong and if you want a professional finish you need a professional. However as i’ve been asked for some tips i’m going to give them but remember, this isn’t a foolproof method to getting a perfect pic as there are just too many variables! Make sure everything is sparkling clean. Remove any personal objects from the room, cleaning objects, bright plastic objects. Think minimal! Make sure bedlinen matches. Stick with neutrals, preferably white or beige. Towels should all be the same colours, again you want to make sure they’re neutrals. Halls should be completely empty. Don’t try and hide things, for example stuffing things behind sinks or cupboards. Don’t hide a good floor, move rugs or coverings and aim to make a calm impression. Never try and photograph with a phone. Doesn’t matter if it’s top of the range with a fancy camera. I don’t believe these are ever an option. Semi professional cameras might do the job but lighting is vital here. Try and work with the weather by waiting for a nice bright day. Never use a flash. This will result in hard lines with shadows leading to flat dull pictures. Natural daylight softens a photo and achieves a more natural result. Use a lens. A bright day, no flash. On a wide angle lens, I go to max 20. After that it becomes too wide and angles become too distorted. A camera tripod is a necessity facing straight ahead not at an angle. Don’t position it too high or too low and for the best angle shoot while on your knees! About the photographer: Anna Larson started in the industry working as an interior photographer for home magazines in Sweden and her career now spans more than a decade. Anyone interested can view her work on Instagram at anna_foxola.